What's up with this motivational stuff ? Well let me tell you that motivational sayings are the 'pick me up' and perspective that I need as a blogger. Many times I will reflect on several motivational quotes for work that come to mind when I think about continuing to move forward.. when I think of challenges.. and when I think of success too. I have a board in my home with a saying that reads: you know what success looks like to you and there's an image of a golden key right in the middle of it all. What's your golden key and what does it mean to you ? With that said, blogging is tough, but work in any industry typically is too. So I've put together a list of inspirational quotes that I look to in order to keep me motivated that I have added to this post. There's always a host of options to look at when it comes to decisions that you want to make in your life. As a blogger, one of the things that I have talked about is avoiding the temptations to seek quick rewards and success for fear of failure. My path and the one that I have advocated is taking the longer and safer one that is more likely to lead to success. To often, in today's world if it's not instant then there must be something wrong, but that couldn't be farther from the truth. Failure and success isn't measured by how quick or slow we are on the paths that we take. 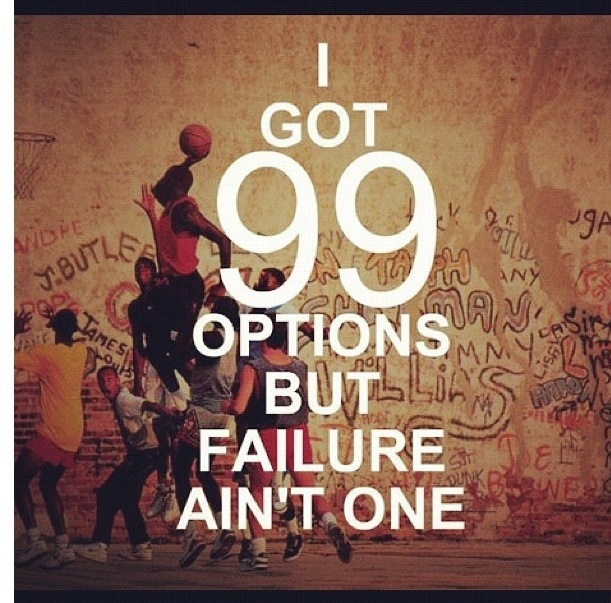 I look at motivational sayings like this one to remind me that there are all kinds of options and roads out there to get to where I'm going, but failure is only an option if I make it one and that's not going to happen. What I enjoy about this one is that the message is simply this.. stay calm no matter what and continue to be open to the dreams that you have. 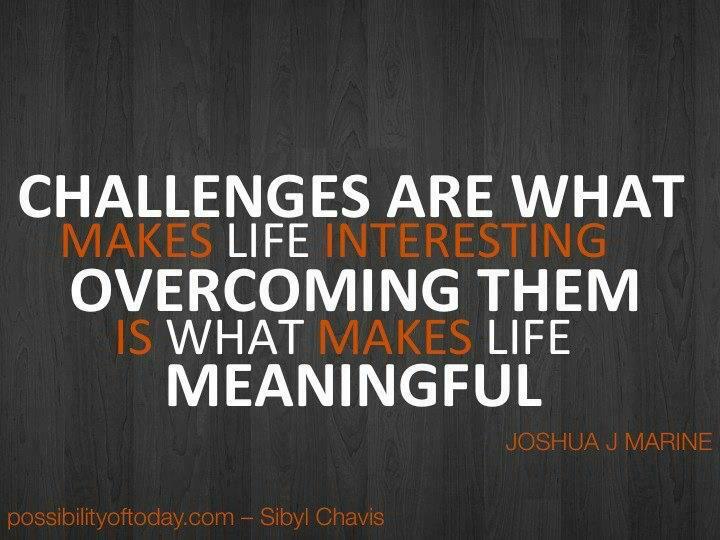 This motivational saying keeps the doors open to all the possibilities that you deem possible. As a business owner, you have a new journey on your hands and that means in short, that the door is wide open with respect to what can happen if you keep calm and dream on about what "could" happen to you as a result of all your hard work. 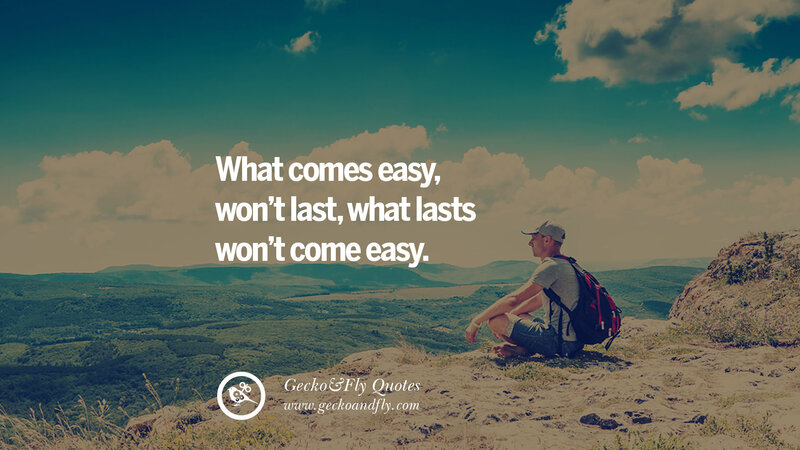 When I look at this motivational saying from the blogging lens, I think about the things that I've read about pertaining to how bloggers tend to stop early on in their journey because the return doesn't come fast enough for them. If there's one thing that I've learned is that this avenue takes a lot of patience. People are skeptical because you're the new kid on the block and not established and even if your content is great, people aren't so quick to become an avid follower. Even if that's the case, this motivation keeps me on the road to truly believing that with faith and a sincere belief in what you're doing it will lead to the best things that there are to look forward to and experience as a result of staying the course. When I see this motivational saying, I immediately think that.. because you're alive, you must have a sense of purpose. Beyond the responsibilities that I have as a blogger, as a father, as an employee and simply a person surviving in the world as we know it today, no matter what I'm going through, I realize there's always someone out there that has it rougher than I do. I see this quote and feel that I have an obligation to keep my sense of purpose and do something worthwhile with the opportunity that I've been given to live the life that I have regardless of the challenges that I'm presented with and I strive to do that each day. This one is in my motivational quotes bag because it is easy to stop day dreaming about what you want amidst all of the work that it may take to get there. 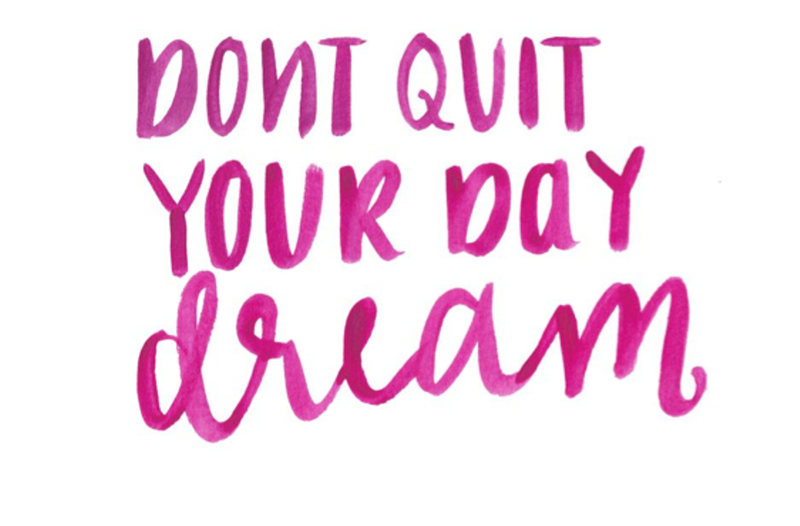 I tend to think that whether you're dreaming about what you want to do or simply living taking steps towards the goal line, the day you quit your day dream means it's not as important as it once was to you. So a quote like this is a reminder that as long as I don't quit the day dream, there's still a possibility that one day it could possibly be so much more than what it is right now. So often when you start something, whether it's a project, a plan, a business or anything in between and you work on it toiling away night after night, month after month and year after year.. you have those up's and down's where you start to question it all. You do hit those walls when you feel like you're just totally done with it especially if you're not seeing the results right away. This motivational saying just reminds me that when I'm feeling a little less motivated to always remember the beginning and why I'm doing what I'm doing in the first place. Success looks a little different for everyone. Success can be about how you help someone. 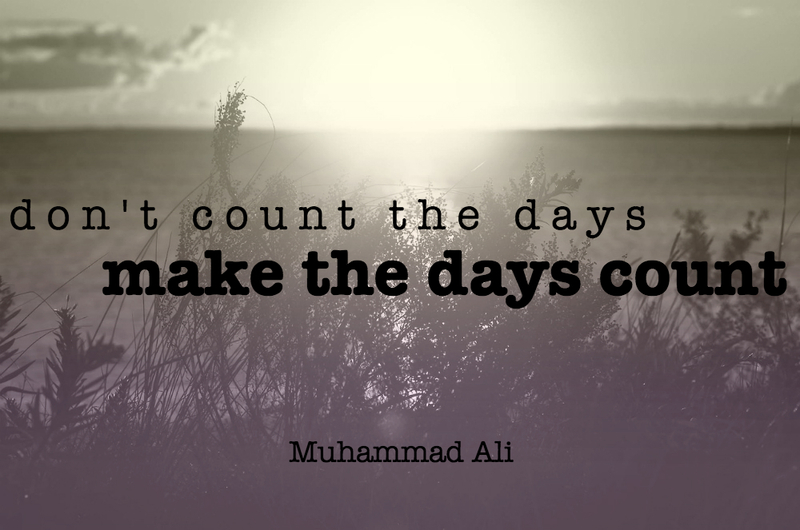 Success could be simply about having a good day. For me, often times success is the continuation of my journey in blogging and being able to do what I set out to do which was to help other bloggers through blogging. 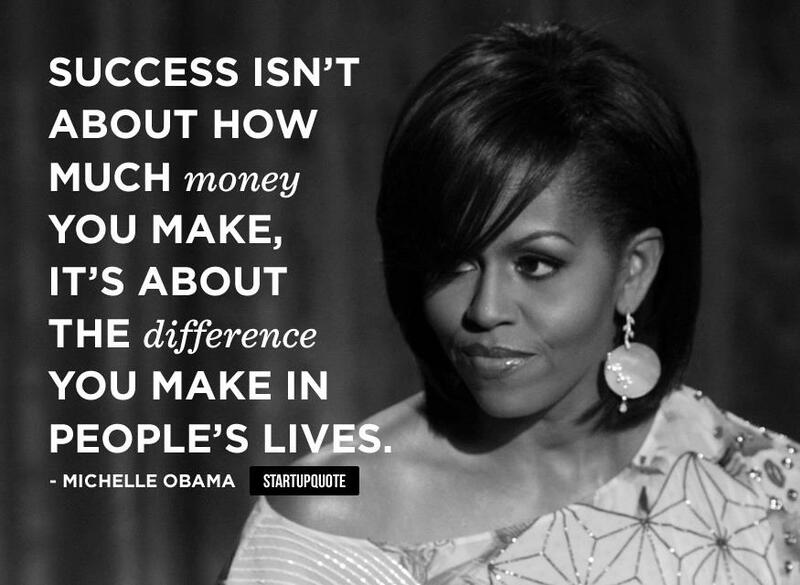 Michelle Obama in this motivational quote talks about how the reality is that it is easy to focus on the money with respect to success, but that it shouldn't be about the dollars and cents. It really should be about the difference that you make in the lives of other people. There are nay-sayers everywhere. There is always going to be someone that doesn't believe in something with as much passion the way you believe. 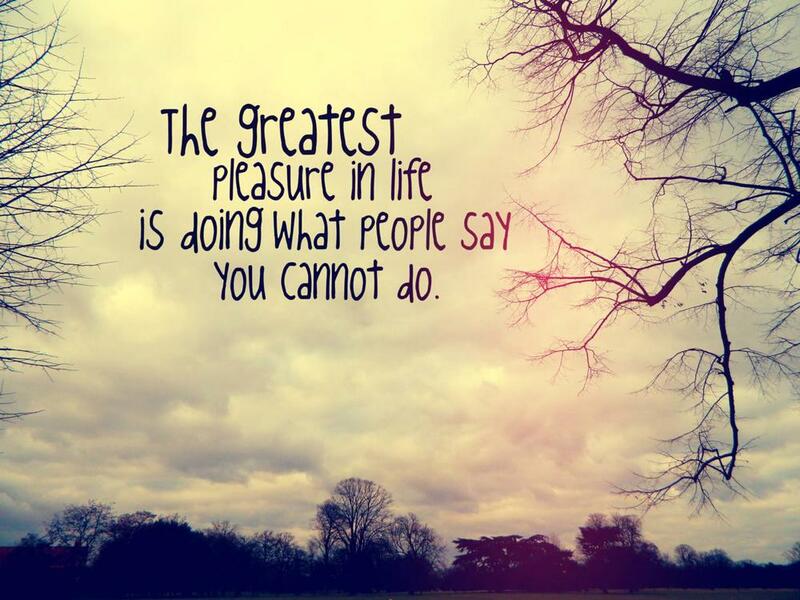 For me, it fuels my ambition and desire to do what the next person doesn't think I'm capable of. When someone looks at me and feels that what I do may be a waste of time, this motivational quote is a reminder to me to continue the journey because there will come a day when they will see things my way as a result of my perseverance and accomplishment. The new plan or idea has been developed and now it's time to see it through. Contemplation and realization of this idea may take you out of your current circumstance and quite possibly into a new level in your life. As the motivational quote says, if you want something you've never had, you truly do have to do something you haven't before. We all want success, but what is it that you're going to have to do that you haven't before in order to get there ? When you think about the time, the energy and focus invested into your job, your goals, your ambition and your dreams, it's exhausting. 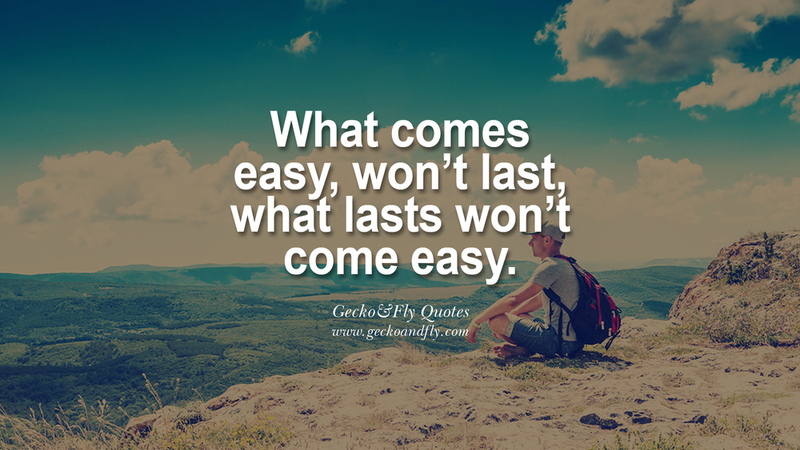 However, I once heard that if it was easy everyone would be doing it. 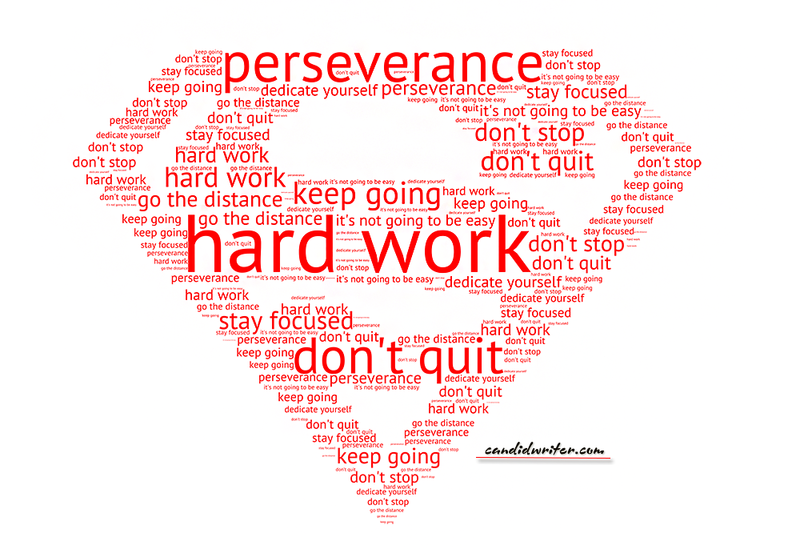 With that said, that's where your perseverance will set you apart from everyone else trying to achieve the same thing. I know that beyond the shadow of a doubt, my success depends on a number of things, but of those things, perseverance is at the top of the list. 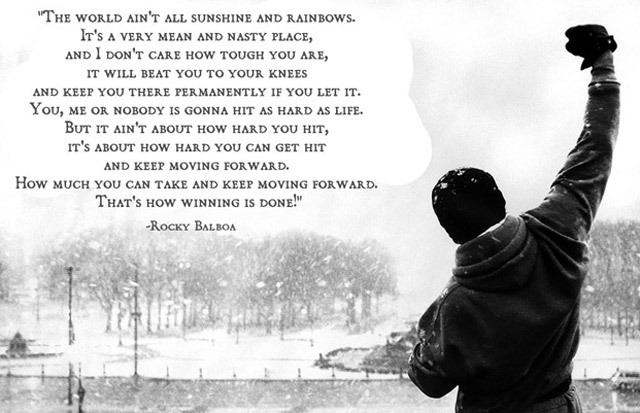 Rocky movies are one of my hidden loves... I love the story line and the overall message.. that no matter what the adversity, no matter how large the challenge may be, there's no one stopping you, but "you" and anything is possible as long as you believe it is. 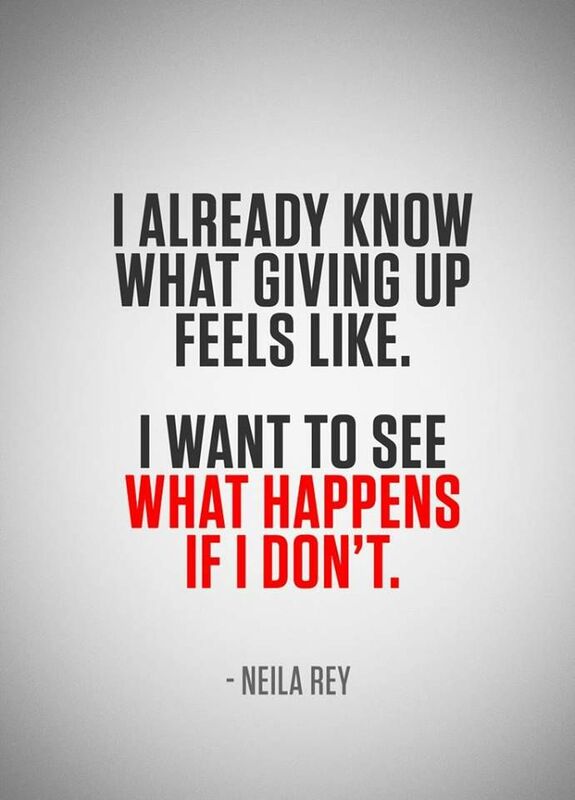 I think to myself when I look at this motivational quote, that I can't do anything about what life is going to throw at me, but I can do something about how I respond to it. If life is going to throw it's best punch at me, it's up to me do something about it and find a way to keep moving towards my own finish line. 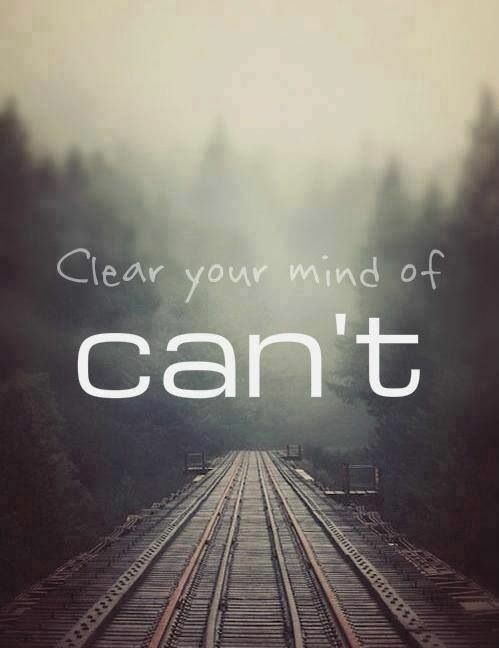 How often does it creep into your mind that you can't do something. This motivational saying is one that I enjoy because it's too easy that in the midst of something that is hard for us to say that we can't or think that it's impossible. Certainly given the theme around my website content, blogging is where my focus is, but for you.. who knows what that may be, but the message is still a valid one in that you shouldn't let "can't" become a part of your mindset. The only thing that it will do is prevent you from doing the things that you want to do and from accomplishing the goals that you've set out to achieve. I'm definitely not a fighter, but I know that the goals that I set for myself aren't just going to magically fall out of the skies into my lap either. I know there will be a struggle and I know that the tug of war between myself wanting to meet my goals, the internal struggle to believe that it is possible, the battle between myself and making time to take the next step, to do more and keep going continues to exist. 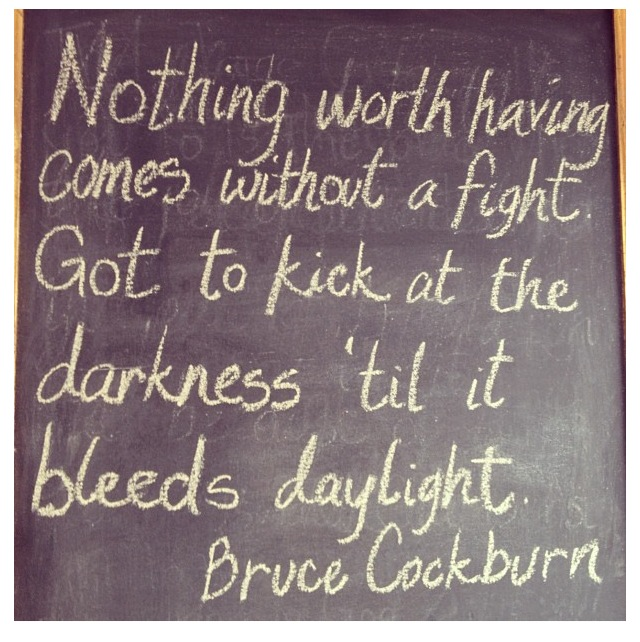 When I see this motivational quote, I believe ever bit of it.. that yes, if you want it, you have to keep doing what you're doing until the daylight starts to shine through. 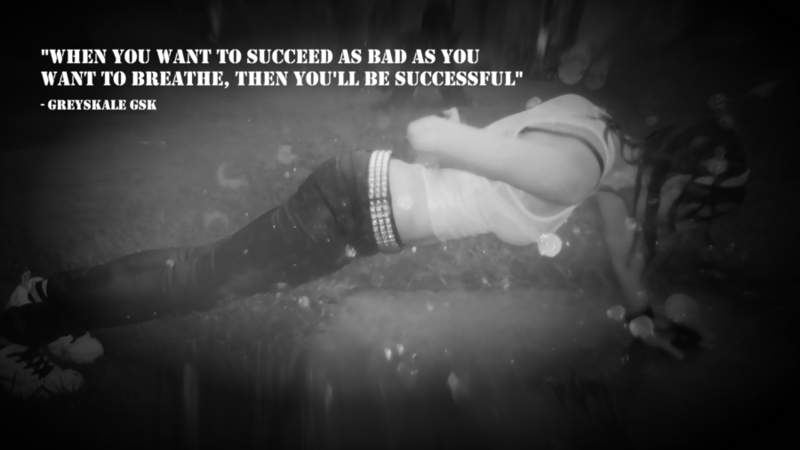 I remember the first time I came across this motivational quote. This struck a cord with me in a very good way. I had never heard anything like it and it was so impactful and made so much sense to me. There are times when I'm doing the work that I do as a blogger where my focus can't be touched no matter what is going on around me. Where my goal is my goal and that's the only thing that I see in front of me. Do you ever have moments like that too ? It couldn't be more true that when you need air, that is the only thing that matters. How often do we ever want success in the same way ? So when I see this, it's a great motivator to me to not to be that person that just "kinda wants success", but to be that person that wants it as much as they want to breathe. I like sharing this motivational quote because of how accurate it is.. We see time and we see clocks everyday and all the time (no pun intended). There's one thing that is very true about time. 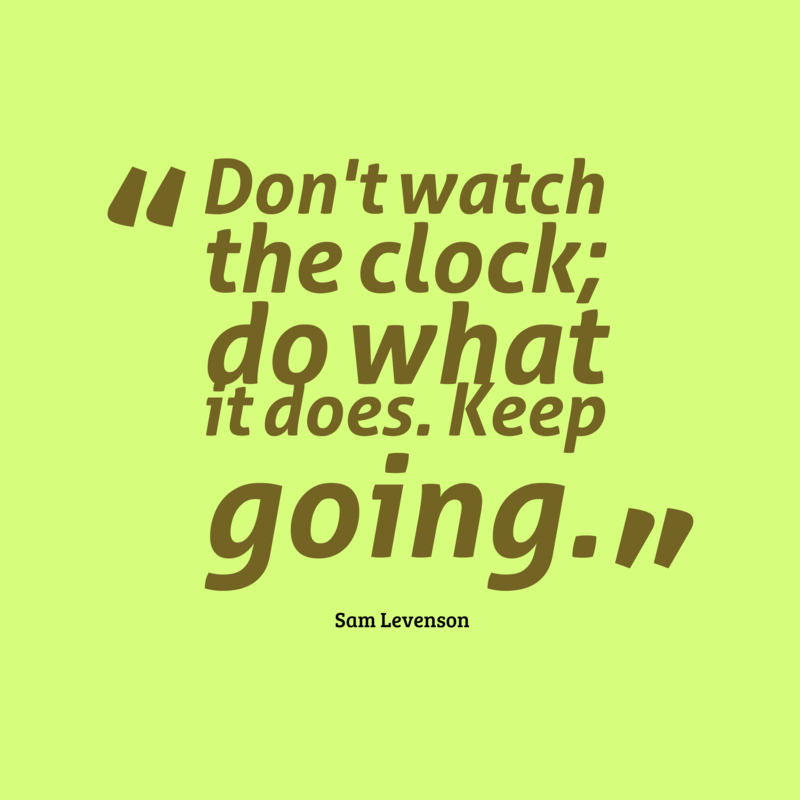 Time never stops and sometimes even though we may say it to others, we don't always make that applicable in our own situations, goals and dreams that we have especially when we feel like we've hit a wall that makes it difficult to take the next step. Time keeps going and going and it's the same mindset that I try to keep in mind when it comes to decisions I make and goals that I have too.